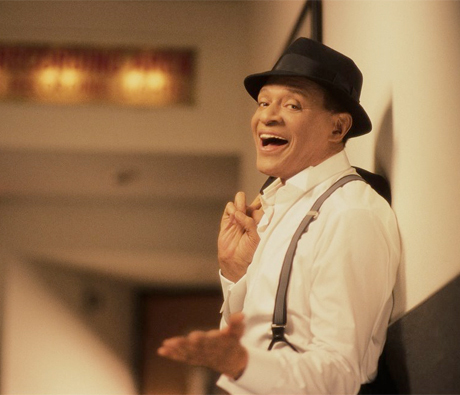 Grammy Award-winning jazz, pop and R&B singer Al Jarreau was taken to a hospital yesterday (July 22) after falling critically ill right before a concert scheduled last night in Barcelonnette, France. As CBC points out, the singer was flown to a hospital in Gap, France after having respiratory problems related the to the altitude at which he was staying. The musician's body failed to adjust normally to the atmosphere around him. Jarreau is in intensive care, but is conscious, breathing without assistance and is now, according to his official website, "in good spirits, once again asking about local dishes he can sample, and looking forward to getting back out on the road." Unfortunately, Jarreau's body will need time to stabilize, and he's thus been forced to cancel three concerts following the cancelled date in France. Germany will lose two shows (Osnabruck on July 24 and Braunschweig on July 26), while Jarreau's lone date in Azerbaijan on the 27 has also been axed. Pending any further complications, Jarreau should be fit in time to play Nuremberg, Germany on July 29. According to his website, "Al deeply regrets having been forced to cancel these four concerts and thus disappointing his fans, but is looking forward to returning to perform in these cities some time in the future."